.vip literally means the "very important person", born with prestige, privilege, and nobleness. Because of the meanings, it is clearly built for the special group who are important and noble. With .vip domain on your site, customers can feel that they are different from the ordinary ones and get a sense of superiority. Brief .vip delivers a good look and its distinguished meaning is well-known, which both make it a new and extremely high-profile TLD for your VIP. 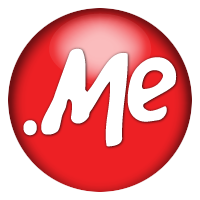 If your website domain is registered with .vip, your customers can feel their importance and superiority on your site. The feeling of being courtesy and recognized can inspire their desire to purchase. Now, the sense of VIP has evolved in every walk of life, so the terminal applications later will be widely used and the real usage rate will be high! No matter which type of website you are running, .vip can make it distinguished in the industry.